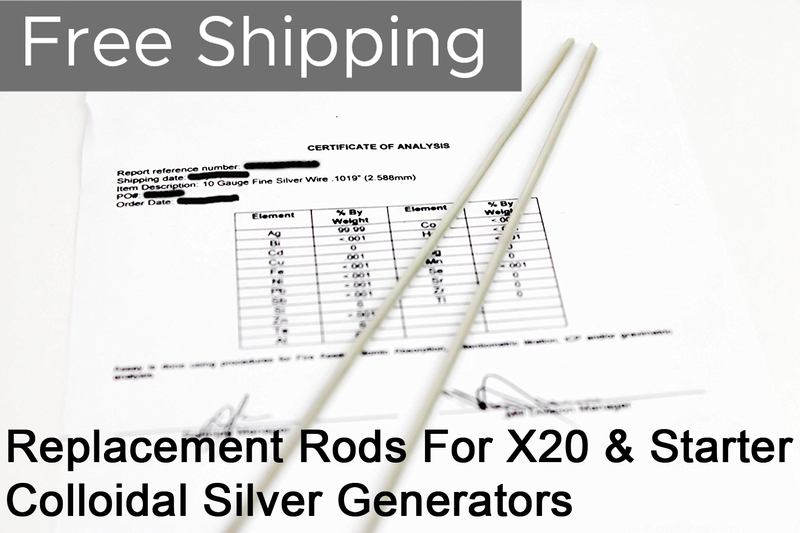 Pair of Replacement Silver Rods 99.99% for OSG Colloidal Silver Generator. Three choices of replacement rod pairs, 3.25" for the Starter generator, 8.25" for the X20 generator or 8.75 for the discontinued X10 generator. These 99.99% pure silver rods come with a 3rd party certification in the box. Don't risk your health with anything less than 99.99% pure silver. 99.99% pure silver rods with certificatoin. I got an extra pair when I bought my generator. Got a backup pair for my generator, you never know if you might need a spare pair.